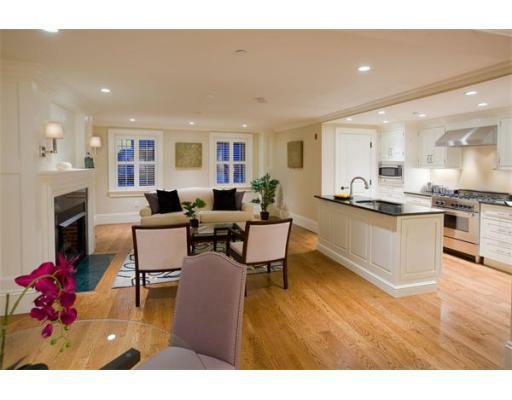 Immaculate 2 bedroom 2 full baths on the best block of the most sought after street on Beacon Hill. An open kitchen with granite counters tops Sub- Zero fridge Central AC, recessed lighting, washer & dryer in unit, fireplace in living room, beautiful master bedroom suite with large walk-in closet and deeded storage space in basement. Walk to Boston Public Garden and the State House. First showings will be at the open house on Sunday from 12 to 1:30 November 24th 2013. Available: N O W ! Notice to prospective homebuyers: All brokers/salespersons represent the seller, not the buyer, in the marketing, negotiating, and sale of property, unless otherwise disclosed. However, the broker or salesperson has an ethical and legal obligation to show honesty and fairness to the buyer in all transactions. (Regulation 254 of the code of Massachusetts regulations section 2.05 (15)). Except as may be otherwise noted specifications with regard to the properties described above were provided solely by the lessors' without verification by broker. Broker accepts no responsibility for the accuracy thereof. Offering is subject to prior rental, price change, or withdrawal without notice.